Ellie and Helen are twins, and decide to play a game. They switch places, exchanging their clothes and hairstyles, to see if anyone can tell the difference. The game is going brilliantly, until Ellie refuses to switch back. Helen finds herself in a waking nightmare- all her belongings, her friends, the special preference her mother has for her- they belong to Ellie now. And nobody will believe the truth. She is driven to delinquency, while Ellie becomes a star pupil and the most loved twin. 25 years later, Helen has lost sight of who she is and fallen into a deep depression. Until a phone call pulls her back into the past, and forces her to face Ellie, the sister who stole her identity. This is a dark and ominous novel, appproaching an idea that I haven’t seen explored before. Can you imagine having your identity stolen by the person closest to you? Being unrecognisable to your own mother? The situation is unthinkable and this is what makes the book so gripping. Forced to be someone else, Helen begins to lose herself. Ann Morgan makes Helen real, forcing us into her world and into her mental illness. She writes so convincingly that parts of the book actually made me feel depressed, but please don’t let this put you off. 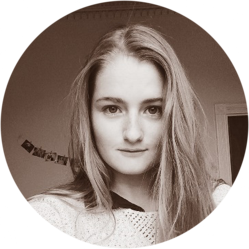 The author places us in the minds of her characters- if that’s not a sign of a good writer, then I don’t know what is. 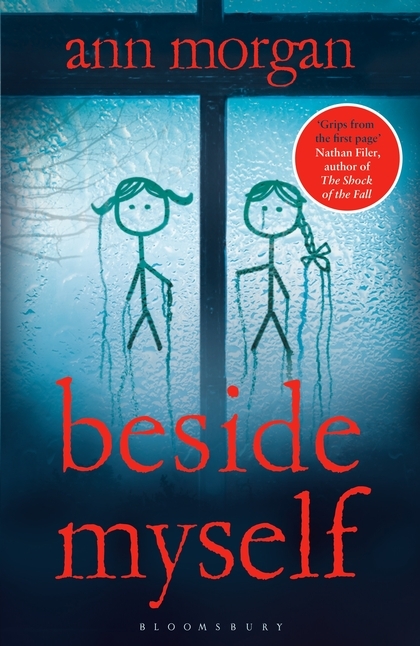 Beside Myself is a phsycological thriller that has the reader following Helen’s story on tenterhooks. The way the author highlights the difference between what people see in a mentally ill person and who they really are was an eye-opener for me. Helen has so much emotion and inner torment, she is desperate for help, yet none of this can be seen from the outside. The books leads us through the events that have broken this person, that have led her to the deepest state of depression, and we see that it is the actions of others that have made her this way, not her own mistakes. It explores the stigma that goes with mental illness, the lack of empathy often shown towards people who suffer from it, and was truly heartbreaking. The characters of this book come alive on the page, and we can observe how they grow, see what changes and influences them. Helen and Ellie are at once very different from and similar to each other- I have loved and hated both of them at different times.The strong point in this novel is definitely its characterization. Beside Myself is a story about personal identity, relationships and mental illness. It reminds us of the powerlessness we feel in childhood, of what it is like to be patronised, to be treated like a liar. It’s about a child who feels unloved. But it is also a story of hope. It’s a story that says that your identity can never really be taken away, because the true you will shine through the mask. You will always be you and you cannot pretend to be somebody else, because the essence of who you are, the traits you were born with, the things you love, can never truly be hidden. Beside Myself will be released on January 14 2016. You can pre-order a copy here.